Home >> Providers >> Leah Tobin, M.D. Dr. Tobin was born and raised in Fairfax, Virginia. She attended the college of William and Mary and the Medical College of Virginia in Richmond. She completed her residency at Memorial Medical Center in Savannah, GA. After graduation, she worked in a small practice in Richmond Hill, GA until she moved to Atlanta to work for a HMO for several years. She joined North Atlanta Primary Care in July 2005. 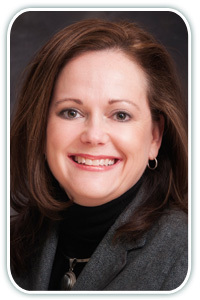 She is active in the local community as a member of the Medical Association of Atlanta, the Medical Association of Georgia and the Georgia Academy of Family Practice. She serves on the board of directors of one of the local hospitals and has been named as one of America's Best Physicians by the National Consumer Advisory Board in 2015 and 2016. Dr. Tobin has been recognized with the Atlanta's Top Doctor in 2018, and the Castle Connolly Top Doctors 2018 Awards. She is skilled at the complex management of chronic disease such as diabetes, hypertension, and hyperlipidemia. Her passion is educating patients about prevention of disease, to help optimize management of diseases and ways to live healthier lives. She loves to see children and adolescents and care for the whole family. Dr. Tobin lives in Roswell with her husband and son. Her family is scattered around the country however she treasures spending time with all of them. She enjoys travelling, cooking, gardening, home improvement projects, photography (especially of her growing family), golf, football, antiquing, singing to her son and generally being outdoors.